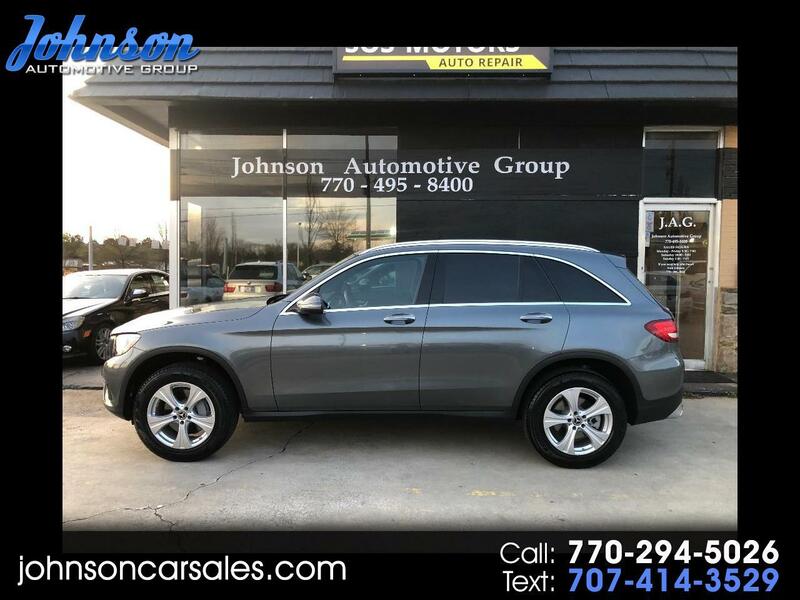 Used 2018 Mercedes-Benz GLC-Class GLC300 4MATIC for Sale in Duluth GA 30097 Johnson Automotive Group, Inc.
Loaded and under Mercedes Benz full factory warranty. MSRP $51,515! Selenite Grey Metallic exterior and black interior. P01 premium package, keyless go, blindspot assistance, multimedia package, navigation and voice control, back up camera, touch pad, LED logo projectors, panoramic sunroof, burmaster surround sound, rear seat entertainment, heated front seats. This vehicle was serviced and repaired at Atlanta Classic Cars. Lots of car for the money! If you have any questions please call Scott at 770-294-5026 or 770-495-8400. Message: Thought you might be interested in this 2018 Mercedes-Benz GLC-Class.